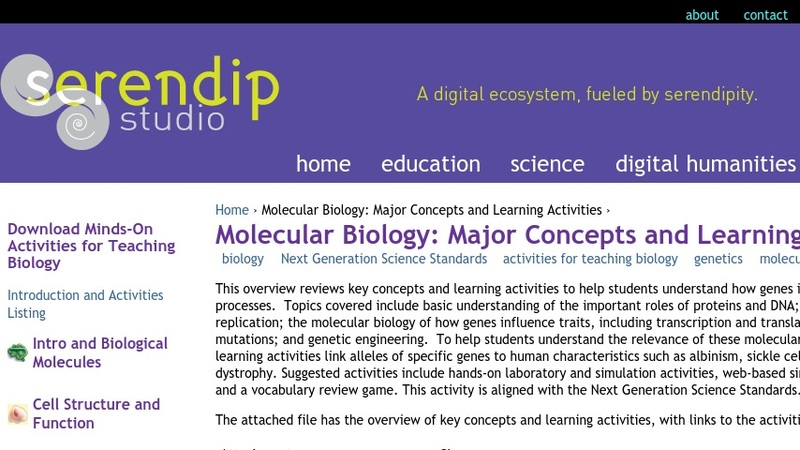 This overview reviews key concepts and learning activities to help students understand how genes influence our traits by molecular processes. Topics covered include basic understanding of the important roles of proteins and DNA; DNA structure, function and replication; the molecular biology of how genes influence traits, including transcription and translation; and the molecular biology of mutations. To help students understand the relevance of these molecular processes, the suggested learning activities link alleles of specific genes to human characteristics such as albinism, sickle cell anemia and muscular dystrophy. This overview provides links to suggested activities which include hands-on laboratory and simulation activities, web-based simulations, discussion activities and a vocabulary review game.